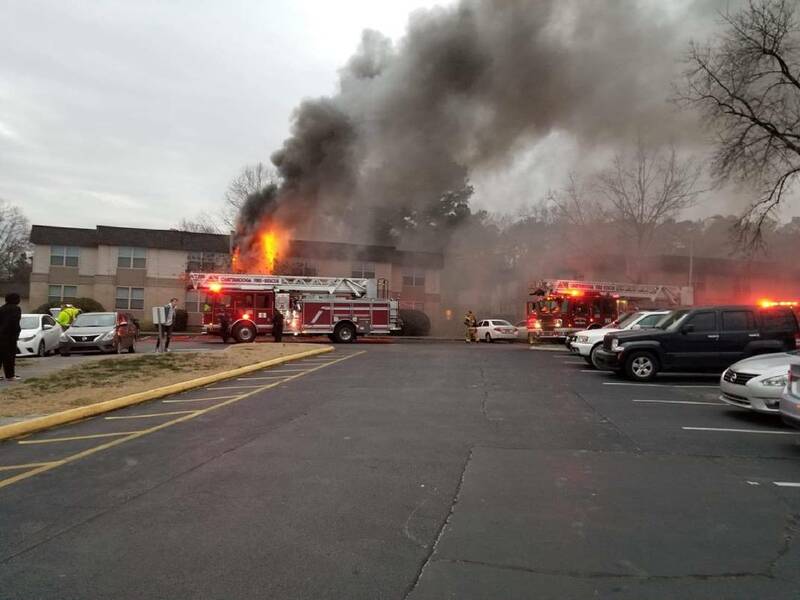 Chattanooga area firefighters battled a fire that broke out at Evergreen Apartments on Hickory Valley Road at around 6 p.m. Tuesday night, according to a news release from the Chattanooga fire department. Six fire companies initially responded to the fire, which had penetrated the roof, but a second alarm team was requested to bring extra personnel and equipment. Firefighters had to cut and dig into the layers of the roof to put out hot spots. No injuries were reported and most of the apartment units had no fire damage. Two or three units on the first floor will likely have water damage. Power has been cut to the entire building, so residents will most likely have to stay somewhere else for the night. American Red Cross volunteers were called to work with Evergreen Apartments management to make arrangements for residents, the release states. Robert Knowles, a resident, told firefighters he had just gotten home from work and walking to his apartment in the H building when he saw a woman run out of her apartment carrying two babies in her arms. Knowles said he saw fire toward the back of the woman's apartment, helped the woman downstairs and started knocking on doors to alert residents. He also said he used multiple portable fire extinguishers in an attempt to put the fire out, but was unsuccessful, according to the release.